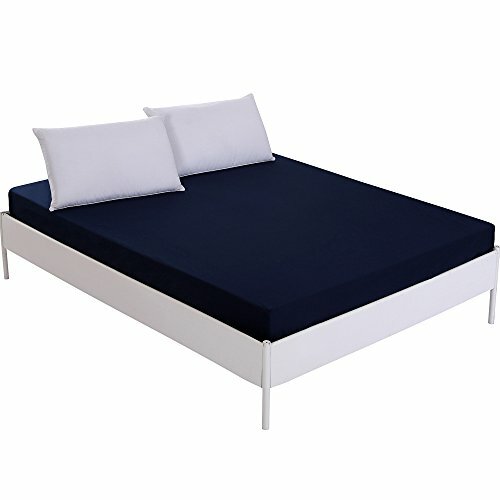 Homaxy Waterproof Mattress Protectors, 100% Microfiber Waterproof Bed Sheets, Premium Breathable Hypoallergenic Fitted Sheet Only - Vinyl Free, Twin Size of Navy Blue by Homaxy at Kids Home Warehouse. Hurry! Limited time offer. Offer valid only while supplies last. Satisfaction Guarantee: We have 1 year guarantee for return or replacement; If you were unsatisfied for any reason, don't hesitate to contact us for a full refund; 10-year warranty. If you have any questions about this product by Homaxy, contact us by completing and submitting the form below. If you are looking for a specif part number, please include it with your message.